Do you know the seven surprising truths about investment bankers? Investment bankers will make or break you. I was that kid right out of school who started an EdTech with no money, team, or experience. Looking back, I had no business being in business. Failure was my new best friend. My grit and determination kept me in the game. Despite the odds, I experienced a 9-figure exit. My 9-figure exit arose from the ashes of a failed attempt to buy my company. The buyer was smart, sophisticated, and experienced. The buyer was also a wolf in sheep’s clothing. It was from this failed exit that I dedicated myself to mastering the art and science of the business exit. The strategies of the playbook I developed are not found in the classroom or a textbook. Instead, my playbook of exit strategies is from my experience of being in-the-trenches. There was one thing that jumped out at me in the early days of my journey to master the business exit. I made it my mission to talk with entrepreneurs who either failed or succeeded in their exit. I discovered seven surprising truths about investment bankers. If you’re looking to retire rich and happy from your exit, you better master these seven truths. What are these seven surprising truths about investment bankers? Investment bankers are loyal to your buyer, not you. You’re a rock star of an entrepreneur out to make a difference and create a life. You’re in business to be in business. Why should it be different for either investment bankers or buyers? To investment bankers, sellers are a one-time transaction. This includes you. Yes, thee are always entrepreneurs who have more than one kick at the can. But these entrepreneurs are the exception. Am I suggesting that investment bankers don’t have your best interests in mind and for your exit? Master everything you need to know before you hire investment bankers. May you dominate and win when you know how to choose investment bankers. 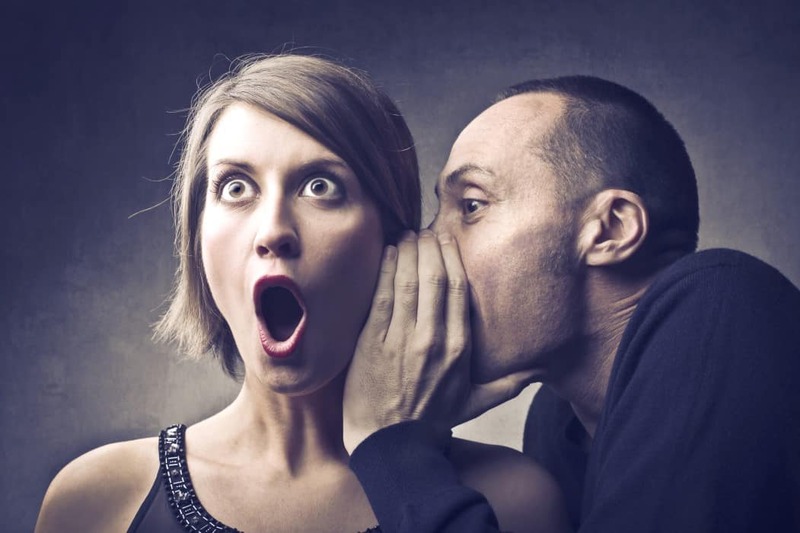 Ready for the next surprising secret about investment bankers? Get ready, it’s a shocker. When it comes to the world of selling, you’ll hear the age-old expression that a bird in the hand is worth two in the bush. There’s merit to this expression. After all, the certainty of securing something right now is better than nothing. Investment bankers will be the first to tell you to take the first offer that comes your way. Most professional salespeople will insist that your first offer is your best. Investment bankers included. Both in business and life, there are no certainties. Often, you’ll never know if you made the so-called best decision. Investment bankers make their money through a commission when you sell your business. The higher the value, the higher the commission. Both sellers and investment bankers have an incentive for the highest possible value. Not so fast, my rockstar entrepreneur. Do you think investment bankers prefer to push for a higher value for you or to close the deal today? If you believe investment bankers will push for millions of more dollars for you, think again. Investment bankers choose the deal done today. Millions of more dollars in your bank account is a huge win for you. But for investment bankers, the extra commission isn’t worth the risk and time required. Investment bankers will take the sure thing. All day. Every day. And it’s not only investment bankers. Many sales professionals do the same. Not that you know, when you’re preparing your company for sale come up with your bottom line number. Keep your number to yourself and don’t deviate. What about your investment bankers, what can you do for them? In the next section, I’ll share a strategy that blew open the doors for my 9-figure exit. Investment bankers are in business to be in business. Yes, investment bankers choose a deal today over a higher deal tomorrow. The story starts when you create an incentive for investment bankers. Offer an extra commission for every dollar over a specific value for your company. Assembling a rock star exit team serves you well from start to finish. Your exit team will help you come up with a value for your business. Your investment bankers will come up with their value for your business. Have an open and honest discussion so that you and your investment bankers agree upon a value. With an agreed-upon value, offer a higher commission for every dollar about the value. Who doesn’t like more money? Investment bankers respect your willingness to share more money for their hard effort. Speaking of a win, you must know this one thing investment bankers do for their benefit and not yours. To make a dent in the universe, investment bankers have more things to do than time allows. Enter the mastery of delegation for investment bankers. Delegation is great for investment bankers as it frees them up for time, but it may not be the best for you. Your business exit is only as good as the people who are working on it. Let’s take a step back before moving forward. If you’re like most entrepreneurs, you met investment bankers who are rockstars. You’ll hand over your destiny to the investment banker you feel most comfortable with. Behind investment bankers are a team of people who do the so-called grunt work. Your business exit is dependent on BOTH the investment banker and the team. The best investment banker with a terrible team can lead to disastrous results for you. And let’s not even talk about your bank account. I’m a fan of delegation. The top investment bankers are as good as they are because of their ability to delegate. Your take away is to scrutinize the team for your investment banker as much as the investment banker. Speaking of banks, that’s our next surprising truth about investment bankers. Chose investment bankers for who they are and not for the bank they represent. Look around you. Brands have us wearing their logos on clothing, cars, phones, and everything else. Consumers have become conditioned to look for a brand when buying whatever they buy. All too often I hear entrepreneurs flaunt the name of the bank they’ve chosen for their exit. A ban, or any company, for that matter, is only as good as its people. Ignore brands and look at investment bankers. For my exit, I choose the investment banker of the bank. While it was nice that the bank my investment banker was at was the leader in my space, it was far down on my list. My investment banker was important enough to me that I had my contract modified. If my investment banker switched banks, my contract with the old bank ended. Turn down the noise from the bank, and instead, turn up the volume from investment bankers. Choose, and your better be smart about who you choose. You have one chance for your exit. People, and not companies, make the difference. The smart money is on great investment bankers first and the reputation of banks second. When it comes to the value of your business, investment bankers look to the future, not the present. There are many ways to maximize the value of your business. When it comes to selling your business, the most powerful way to max out your value is a bright future. Your buyer takes comfort from your performance-to-date. But it’s your future, not your past, that gets your buyer excited. When your buyer gets excited, the value of your company increases. A lot. Talented and successful investment bankers wear two hats. The first hat is helping you prepare for your exit. The second hat is getting buyers excited. The best investment bankers look to create an auction for your business. The more potential buyers, the better. Bidding wars have your company value takes off to the stratosphere. You can help investment bankers by ensuring your future looks better than your past. Explore new markets you have yet entered. Talk about what you could do with more money, people, and experience. Find a new problem to solve that nobody else has tackled yet. Highlighting your so-called weaknesses do not have you look weak. Instead, buyers see an opportunity for the future. And opportunity means more money for your exit. Play up to the surprising truth that investment bankers trade on the future, not the past. You’ll retire richer and happier when you do. But we’re not out of the woods yet. There one more surprising truth about investment bankers that will shock you to the core. Investment bankers don’t give the benefit of the doubt when it comes to Y.O.U. You are guilty until proven innocent for investment bankers for negative things. Each negative items about your company lower your value. And you guessed it, even if you fix the issues you only have one chance to make a great impression. It’s not fair, you protest? You’re right, it’s not fair. But here’s the great news. Now you know the seventh and final surprising truth about investment bankers. And with your knowledge, you can take one action that makes all the difference. Prepare your own independent virtual data room. Is preparing a virtual data room time consuming and expensive? But whatever time and money you spend is a rounding error in the increased value. Imagine you’ve won an award and are showing up at the awards dinner. Would you show up in jeans and sneakers or your best evening attire? Preparing your virtual data room has you find your skeletons first. You have the opportunities to fix your internal issues. When you prepare your virtual data room, you win. All day every day. And the bonus is that you’ll impress the heck out of the investment bankers. Before your exit, learn and master the surprising truth about investment bankers. Knowing what to do and not to do is key to your future happiness and wealth. Investment bankers follow a code to protect their interests, even if it’s at your expense. But now you know and can take action to protect yourself and your future. Remember, I was the kid right out of school with no money, experience, or team. Despite the odds, I built my EdTech into a successful company and had a 9-figure exit. My 9-figure exit resulted from me learning the secret world of investment bankers. It took years and had me dealing with frustration and mistakes. The great news is that my heavy lifting and mistakes are for your benefit. Don’t even think about your exit until you learn the truth about investment bankers. Start with the first surprising truth about investment bankers until you master it. Move on to the next truth until you’ve mastered all seven. Will you still make mistakes? But you’ll make less costly mistakes and position yourself for success.